Do you agree or disagree with this statement: A blogger's first name should be in a prominent place on his/her blog. I think it's nice to have an idea of the person behind the book blog; however, I also respect that person's right to privacy, so if a blogger prefers to post their reviews under a pseudonym, I wouldn't hold it against them. My name is prominent on mine because I am also an author, so my name(s) is my brand and needs highlighting on all my social media. Different people have different priorities and different situations though. It seemed such a good idea. A pleasant entertainment to amuse Queen Elizabeth I, a piece of community theatre for a Sunday afternoon in the summer of 1575. After the chaos and suspicion surrounding the birth of James II's son nearly fifty years earlier, there had developed certain rituals which were meant to surround the birth of a royal baby. 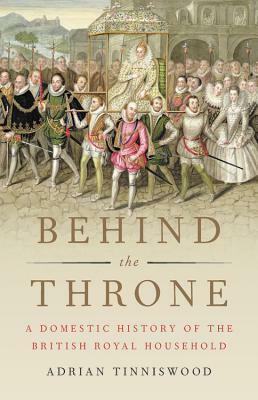 This looks really good -a fascinating part of history to read about. I'm reading Alexander Hamilton by Ron Chernow. It was fascinating. Oh, I loved the Hamilton biography. Hope you like it too. Thanks for the visit. Happy Reading! Sounds like a fascinating read! Happy weekend! Sounds interesting. What royal life is like is something I've wondered about. This week I am featuring The Butterfly Conspiracy by Vivian Conroy. Happy reading! It was interesting to see history from the 'downstairs' viewpoint. I enjoy a good history non-fiction work. Happy Reading! I enjoy stories about royal families. I also like to have a name to call the blogger in my comments...but it doesn't have to be their real name. Thanks for stopping by. Happy Weekend. It was a fun and fascinating read. Documentaries on such subjects are great fun too. What an interesting and informative sound read. Hope you enjoyed! Yes, Alicia. It was both interesting and entertaining. I just like to call someone by their first name when commenting. Yes, it is nice if you can personalise things. HI Nicki! Interesting choice, hope you're enjoying your weekend. Thanks for visiting my blog!